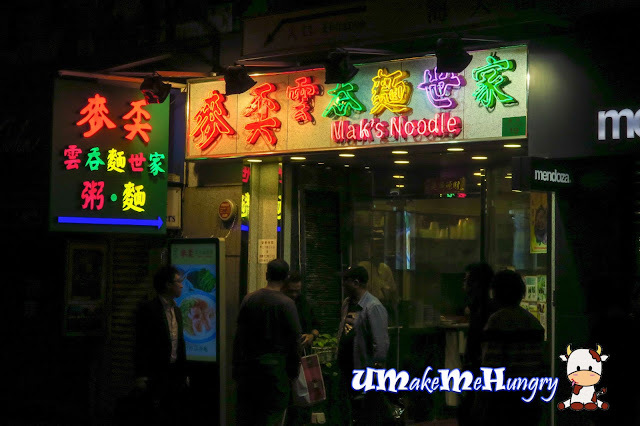 While flipping through the newspaper in Hong Kong, we spotted an article recommending the top 10 Wanton Noodles in Hong Kong and different branches of Mak's Noodle had secured a few rankings in the list. Even knowing that back in Singapore we have Mak's Noodle in a few shopping malls, we still decided to go ahead for our dinner / supper after our trip from Macau (Apprently, there was not much eateries opening at the hour). Our stomachs were all shouting for food as we still did not have our dinner yet. While waiting, we had some soy milk to keep our stomach warm and fill. 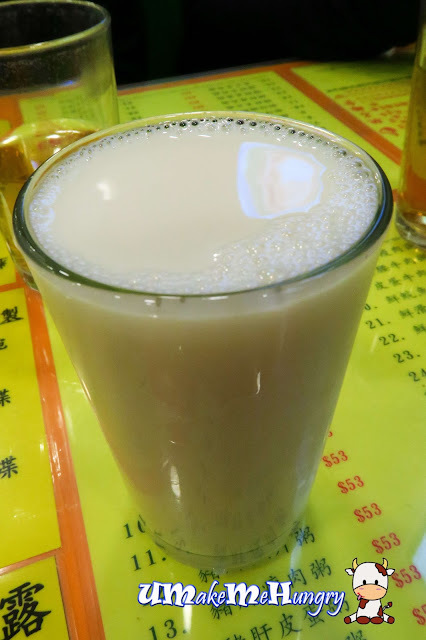 Soy milk was fresh and level of sweetness is moderate. We all know that the palm size bowl portion is the signature's of Mak's Noodle and no complains about it, not even the masculine who tends to eat more. Perhaps they know that this is Hong Kong and finding of supper / food around our accommodation is definitely not an issue to them. Standards of their noodle was pretty well maintain, springy and fine with tasty soup and spring onions as garnishing just like what we had in Singapore. Wanton was plump and generously filled with prawns. Though dish is straight forward with just noodles and dumplings, I would say that they were doing well enough to maintain its reputation and even in overseas. Price on the other hand is more of less similar to what we had in singapore.